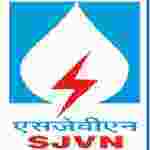 SJVN Limited Trainee Junior Officer recruitment 2016-17 apply for 11 posts : SJVN limited welcomes application for the position of 11 Trainee assistant, Trainee junior officer, junior officer vacancies. Candidates who completed their B.Com., graduation, PG degree, PG Diploma, is a good opportunity.The individuals who are the occupation seekers searching for govt employments in Himachal Pradesh this is the best chance to apply. Competitors read the official notification then read all the guidelines and miners precisely then apply before the last date online application got. All the interested and eligible candidates can apply online before 15th July 2016. Candidates Age Limit: The age of the candidate should not be less than 18 years and should not be more than 40 years. Salary: Rs 11500 – 26000/- Per Month. Academic qualification details: Candidates should have full time B.Com. with minimum 50% marks for general categories candidates / other backward class categories candidate and 45% for others. Academic qualification details: Candidates should have graduate with one / 2 year full time post – graduation degree / post – graduation diploma in personal management / social works / labour welfare / business management / office management / public administration with 55% marks for general categories candidates / OBC and 50% for others or commerce graduate with minimum 55% marks and passed intermediate / executive level examination. Details of Fee particulars: All the interested and eligible candidates are need to pay application fee Rs 200/- for general categories candidates / other backward categories candidates through demand draft in the favor of SJVN limited payable at Shimla. Process of applying for the job: All the interested and eligible candidates can send the print – out along with supporting documents and demand draft to advertisement No. 79/2016 O/o AGM (Recruitment), SJVN limited, Corporate office complex, Shanan, Shimla:- 171006 (HP) on or before 25th July 2016.